Heavy duty engines and pressure machinery give off extensive amounts of heat that can that can cause damage to wires and cables. These drastic measures can impact equipment performance leading to reduced production and possibly replacement of equipment due to malfunctions. Protecting your wires and cables with Insultherm Ultraflexx braided sleeving means you are not only shielding your equipment from heat but also from other components that can destroy your cables. 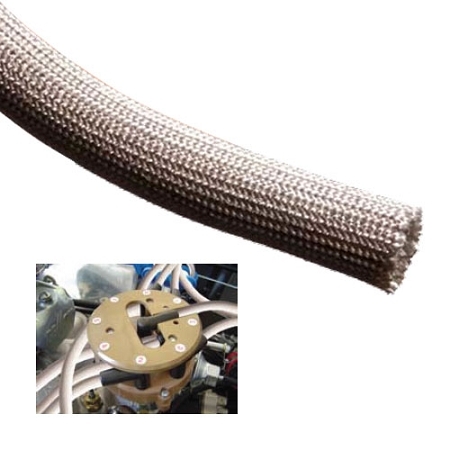 Insultherm Ultraflexx braided sleeving is engineered from a continuous filament E-type glass that is braided together to protect your cables, wires, and hoses from cuts, abrasion, and friction from other components in engines or machinery. 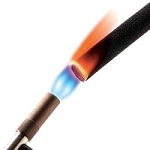 This heat treated fiberglass sleeving can safeguard all your high conformance wiring and cabling from extremely blazing temperatures reaching 1,200°F. 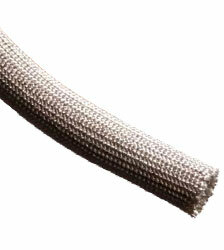 Hydraulic oils and engine chemicals have little to no effect on this highly resistant fiberglass sleeving. You can easily cut this braided sleeving with scissors for precise lengths allowing for quick and easy installations even around tight areas. Insultherm Ultraflexx braided sleeving is available in a natural color that gives engines and exhaust systems a clean look. While looking to add an extra level of safety and a super clean look to a new product line, I came across the Insultherm Ultraflexx product line. This tubing can be easily fastened to wiring and flipped inside out, creating a really nice terminal boot. Our results with this product were crisp and very pleasing to look at. I couldn't be happier with the outcome, great product.